Innovatics introduces MiniSAT, a convenient and technologically advanced system for the assessment of antioxidant potential in saliva samples in Point-of-Care and clinical settings. 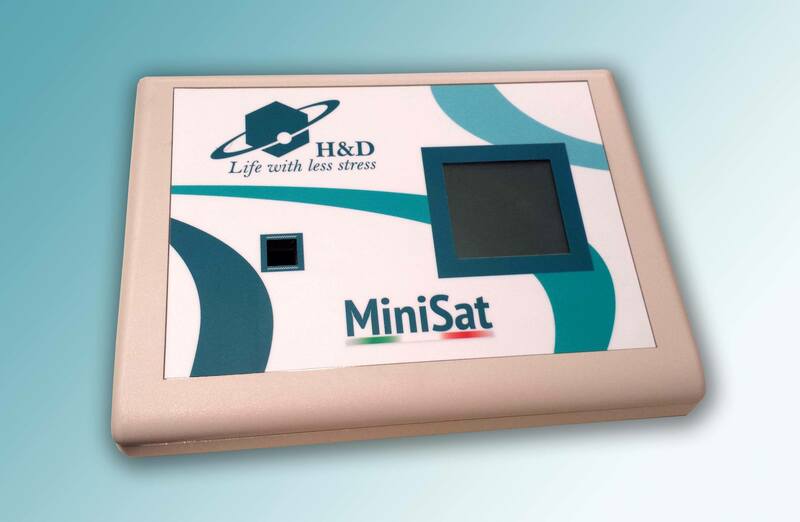 The MiniSAT analytical device was developed in Italy by the research team of H&D srl in Parma, Italy, led by Dr. Fabrizio Callegari, renowned biomedical engineer and inventor, leveraging on his broad experience in oxidative stress assessment to develop a simple to use, accurate and effective saliva testing device. MiniSAT is a photometric analytical system, specifically designed to perform the SAT test. The principle adopted is the absorbance measurement of a sample solution in a cuvette through a monochromatic light beam; once the absorbance value is obtained, the instrument automatically provides conversion into the appropriate units using proprietary software. Integrated unit consisting of built-in photometer and control panel. It performs the photometric readings required to complete the SAT test procedure. The photometric unit is temperature-controlled at 37 °C.